El Presidente Obama quiere acceso mejor a la educación superior. En los Estados Unidos, el Presidente Obama quiere hacer más asequible las oportunidades para atender el colegio. Especialmente por la clase medio. Yo espero que sea verdad. ¡Este sería una cosa fantástico! As I was exiting the Ramsey Fitness Center Parking lot I began to reflect on my first days as a brand new late 40-something student starting a new life, in a new state, in a new Ph.D. program, and moreover a new chapter in my academic odyssey. I chuckled this evening when I remembered how I had gotten lost trying to exit the Ramsey Center parking deck 4 years ago. I seemed to be in a never ending maze of circling around and around and around the deck with no exit in sight. I was trapped and didn’t know how I was going to ever get out of that deck as the signs, sounds, and bright lights, left me unsure of myself and anxious. I felt so helpless and inadequate at that time. I almost turned into the “do no enter” portion of the deck trying to escape this seeming Twilight Zone nightmare. Tears literally swelled in my eyes as I resisted the urge to call my daughter in Ohio for help. I thought to myself, “Call Bridjette, she’ll know what to do!” My daughter at that point, was a freshly minted graduate of Wake Forest University and would be most certainly familiar with this foreign land I had come to know as 21st Century University life. 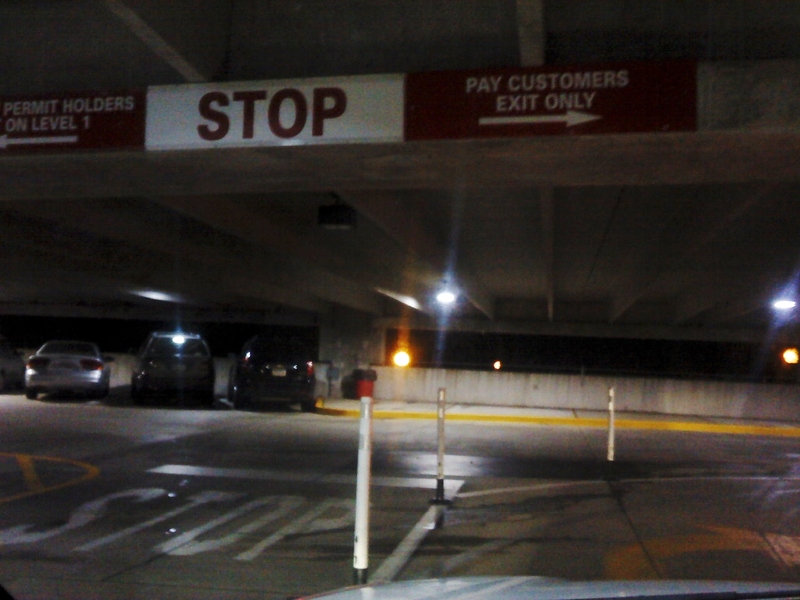 I eventually calmed myself and asked what appeared to be a parking lot attendant for help and subsequently was able to finally locate the exit gate (shown above) and free myself from the “A Mazing” experiences. So now in hindsight, I have come to cherish that maze experience in the Ramsey Center parking lot some 4 years ago. It has become a valuable piece of what is now an “A Mazing” ride, as I stand at the dawn of continuing my academic odyssey in Chile, South America. This summer I had the good pleasure of being invited to participate in the National Issues Forum’s Deliberative Democracy Exchange (DDEx). Scholars, Educators, and Community Activists from around the world converged in Dayton, Ohio. It was a week of engagement, actions planning, and policy discussions surrounding the preservation and promotion of democracy within diverse cultural, political, and economic contexts. I had the chance to develop new networks with folks from around the country, as well as those coming from the middle east, who are fighting for liberation and democracy. Many traveled from Africa, Central and South America, and parts of Europe where we all became profoundly impacted and connected during the week of engagement. As a result of our participation we were given extraordinary access to the Kettering Foundation resources in the form of online PDFs and a great number of books (as shown above) . These will go a long way in helping me to establish my academic library as part of my goal to enter the Professoriate upon completion of my Ph.D. from the University of Georgia. At this point, I would also like to give a special”shoutout” and words of thanks and gratitude to Dr. William V. Muse, President of the National Issues Forum (NIF) and my former boss at the University of Akron. It was his extending an invitation to me that allow for my participation in the DDEX. This was a wonderful experience and scholarly opportunity. I will forever be grateful for having been invited to participate and contribute to the deliberative democracy1 activities. Note: 1The NIF and Kettering Foundation define this process as moving beyond the theoretical statement stage of democracy work, to the action or working phase stages of deliberative democracy. What are Memes and their Importance to Adult Learning? In biology, the gene pool has a mechanism for change that functions through a process of replication, variation, and natural selection. This same type of mechanism is mirrored in the “meme pool”, as Dawkins (1989) describes memes as behavior units of culture that are imitated from person to person. The science of memetics,1 is a powerful theory owning both supporters and critics due in large part to the diversity of definitions and conceptualizations associated with what we have come to know as “memes”. Most commonly known are the image memes often found circulating via the internet and social networking sites. However, the key feature of a meme is that it can be a vertical (though more commonly horizontal) transfer that takes place primarily through non-genetic means. Also, in contrast to the gene, the meme does not require a “host” agent to perpetuate itself as cultural artifacts can also function as memes. What matters most is the ability to imitate in such a manner that through a process of natural selection the meme either prospers and is passed on or becomes extinct as it loses its utility as a meaning-maker. Clare Graves (2005) found in his research on adult biopsychosocial development, a pattern whereby human nature has the capacity for increasingly complex neurological coping systems congruent with changing life conditions that require new ways of thinking and being in the world. Graves’ protégés in their 1996 book Spiral Dynamics (Beck & Cowan, 1996) used the concept of a Meta-meme that served as a framing unit for a collection of unique (and hierarchical) modes of thinking, value systems, and ontologies that advance developmentally from the simple to the more complex throughout ones adulthood. However, Graves (2005) also held that change was not inevitable and individuals could most certainly live out the entirety of their physical lives centralized in a particular level of existence. His “emergent cyclical level of existence theory” (ECLET) argued that the human quest for understanding and being in the world was never-ending. Therefore, our ability to formulate new memes in resolving existential problems remains an open-ended process. With this in mind, I propose that human beings have the potential for unlimited and adaptive meme formulations that are subject to the influence of both biological neurology as well as cultural environment(s). Such a position gives great hope to those advocates of lifelong learning who offer that adults do not simply “peak” in their intellectual development and with advancing age subsequently plummet into a life of decreasing value and vigor. Howard Gardner (2011) argues that as some bodily-kinetic competencies may in fact decline with age, there is certainly a potential for increasing intellectual competencies (e.g., spatial and personal) among aging adults. I would submit that much is to be gained through an integral approach to the study of adult learning; and applying theories such as Spiral Dynamics and Multiple Intelligences in understanding adult cognition. Moreover, an interdisciplinary approach that incorporates neuroscience, biology, as well as spirituality, are especially positioned to inform what Graves (2005) viewed as the “never ending quest of human emergence” (p. 417). 1The theory and study that holds mental contents of cultural operate analogous to Darwinian evolution. Beck, D. E., & Cowan, C. C. (1996). Spiral dynamics: Mastering values, leadership, and change. Cambridge, MA: Blackwell. Dawkins, R. (1989). The selfish gene (2nd. ed.). London: Oxford University Press. Gardner, H. (2012). Frames of mind: The theory of multiple intelligences. New York, NY: Basic Books. Graves, C.W. (2005). The never ending quest. Santa Barbara, CA: ECLET Publishing. 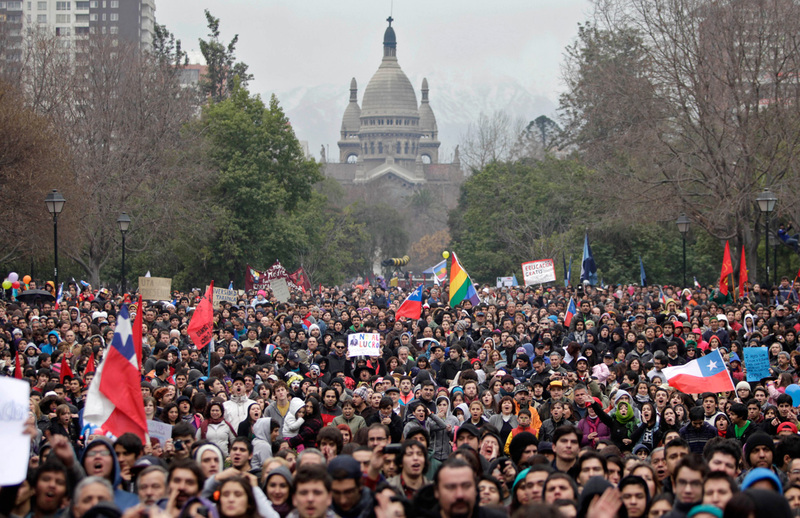 The “Chilean Winter” (Villalobos-Ruminott, 2012, p. 11) includes university students in Chile who have become civically engaged in forms of political protest. The marchers and student leadership in Chile are challenging power differentials by opposing governmental public policies. Many opponents believe that educational policies privilege entrepreneurial for-profit higher education at the expense (in their view) of social justice by denying free and open-access to education for all Chileans. Many citizens believe that they are being forced into a difficult situation having to participate in an educational system where economically vulnerable collegians incur significantly high student loan debt burdens (Gambi & González, 2013). Gambi, M., & González, C. (2013). Student Debt and Access to Higher Education in Chile. Revista Española De Investigaciones Sociologicas, (141), 91-111. Villalobos-Ruminott, S. (2012). The Chilean winter. Radical Philosophy, (171), 11-15.